Before we dive into the basics of understanding how the ephemeral things we call ‘Hashtags’ can boost your Instagra-cred, let’s do a quick exercise. Can you spot anything wrong with this picture below? Take a look; we’ll wait. If you thought the jacket isn’t beige enough, I couldn’t agree more. But believe it or not, there are more pressing concerns here. The hashtags! There are several things that have gone south here, especially in regard to the use of hashtags. We figured identifying them would give you a head start on understanding how hashtags work on Instagram. Because, even if hashtags make you discoverable on a busy platform like Instagram, they can still reflect unfavorably on your brand, if not done right. If you only looked at the hashtags without the photo, it would be hard to identify what the brand is selling. While broad themes like fashion, style, and blogging are alluded to, it’s anybody’s guess if this is a styling tip, a fashion blog update, or an outfit design. This is a clear case of quantity over quality with the number of hashtags being high, but the quality falling short. Sure, engagement bait in the form of the #followforfollow variety of hashtags exist. But, there’s no merit in being seen as a brand that’s desperate for likes. None. Instagram lets you add up to 30 hashtags per post, but use them wisely and cautiously, lest you be blocked by the very Instagrammers you want to appeal to. Besides, littering is never cool! From lack of research to poor spelling, many things can weaken your hashtag game. While this brand has gone for many popular tags that float around Instagram (like #ootd and #instafashion), they’ve still failed to get engagement. The top-performing hashtags in this segment, like #onlinefashion and #ecommerce, were also given a miss, which could’ve hinted at what the brand really does—sell clothing online. Today, a big chunk of your Instagram marketing revolves around using the right hashtags for the right context. Proof? Posts with hashtags enjoy an average of at least 12.6% more engagement than those without. This comes in the wake of Instagram already getting more sizable engagement rates than other networks, at 3% engagement per profile, making it a darling for hashtag trends and targeted marketing. But, like all strategies, you have to do your homework before implementing them. While this will differ from network to network, on Instagram you can simply type the hashtag in the search bar to check its popularity. While this isn’t a clear indicator of a hashtag’s current relevance, it will definitely give you insight into how widely used it is. Instagram also smartly rolled out the follow feature, where you can follow hashtags of interest, just like one can follow profiles. It helps to be regularly updated on what’s being posted under a specific hashtag. You can always research your competitors, and other players in your space, to see what tags they’re using. If they’re an established company, chances are the hashtags they’re using are backed by positive research and metrics. Of course, we don’t encourage copying, but there’s no harm in taking notes, right? Right. If you don’t have time to do research, you can outsource this job to tools that can help. Hashtag tools like Hashtagify can be a good investment in helping you identify what hashtags to use to push your Instagram content to the surface. This is the biggest challenge every single brand on social media faces. It doesn’t matter how much billboard space a brand lands—social media is fast-moving, and retaining your value here takes a lot of concerted, targeted effort. Making your brand discoverable is the very first step to making this happen. Oh, and it’s also the biggest purpose of the hashtag as we know it! Fun fact: Hashtags were originally thought up to make conversations trackable. What a long way we’ve come! Now a single hashtag can be used to communicate ideas, hold discussions, track world events, and keep up with our interests. On Instagram, everything from a post or story to IGTV content can be tracked using hashtags, besides being able to follow individual hashtags that archive all of the public content that’s been uploaded under it. This is a goldmine for brands who want to be out there and discovered. While some popular businesses like Airbnb still rack up views on their Instagram even without the regular use of hashtags, some of the biggest brands on Instagram, like Adidas, have built up great content with great hashtags that elevate their brand messaging. You may want to say hello, ask a question, or find out what your followers want to see next from your brand. For driving all these kinds of conversations, and more, you need get your engagements going! Instagram conversation threads—a space that could really be better organized—are often packed, especially for brands with a robust social media offering. – Hashtags that are popular with them. – Specific hashtags used exclusively by them. For instance, GoPro does a rad job of mixing aesthetics with the right tags and turning posts into conversation pieces. By using hashtags like #RoadBiking and #AdventureOften that are popular with nature and adventure junkies who are a big chunk of their consumer base, they tap into the right audience who would be interested in what their brand has to offer. Take a look! It’s not just your logo or color scheme that becomes your brand asset with consistent usage. You can do precisely the same with hashtags, as well. Marketing campaigns can yield strong brand retention, and hashtags can be one of the driving forces behind them. 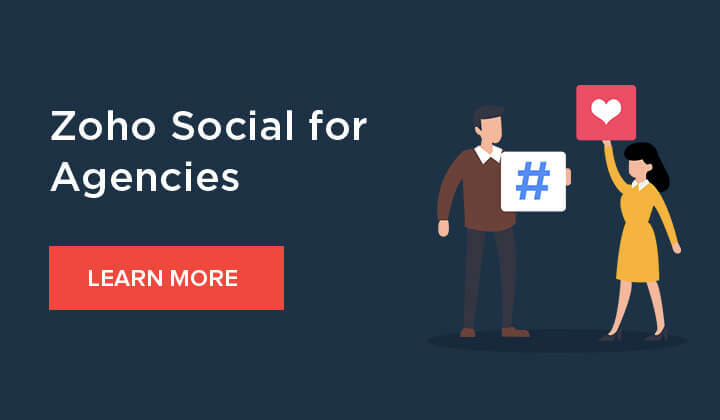 Once you got the basics of relatability, recall, and target-audience appeal embedded into your final hashtag, your Instagram campaign has a greater chance of hitting the ground running. Starbucks, for instance, has a firm grasp on this concept and was able to make one of its successful campaigns into a brand asset. The #RedCup campaign, which promotes a reusable red Starbucks cup that rolls out before Christmas, was a hit with customers across the world. While the concept of a holiday cup itself wasn’t new and was introduced by the brand back in 1997 itself, the Red Cup, with its catchy hashtag, made its entry into social media in 2015. It wasn’t all smooth sailing, however. The Red Cup ran into some controversy when its design was accused of pushing an agenda and not being religious enough. However, Starbucks has always bounced back from this, making itself an easily identifiable part of the Christmas season every year. Sure, a simple Google search can show you the thousands of hashtags that are being widely circulated on the internet. But what it won’t tell you is that not all brands that use them can rise to Instagram fame—or retain an audience. That requires more concerted effort and understanding into why you’re using a specific hashtag and what value it adds to your brand. Maybe that’s why you shouldn’t blindly #likeforlike?